screen in case of logout / session expires / timeout. 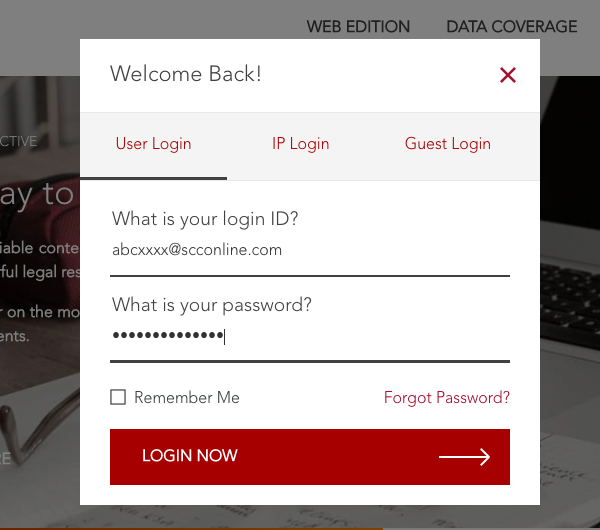 Click on User Login / IP Login tab & enter your registered login details as shown in Image 2. After login you will be redirected to the navigation dashboard. Note: Once this option is selected, your session will be resumed from the same screen where you left it. 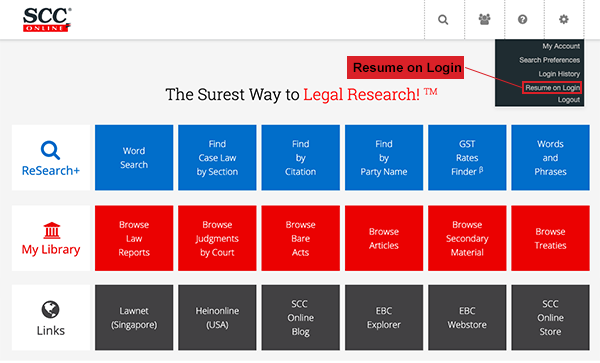 We hope these new features enhance your SCC Online experience and make your legal research Quicker, Easier and More Effective!